Pivot partitions focus on the characters of use flexibility and transformation capability, typical of contemporary interiors. They were devised by the Decoma Design team to enrich with new nuances the relationship between the rooms making up a home and a workplace. 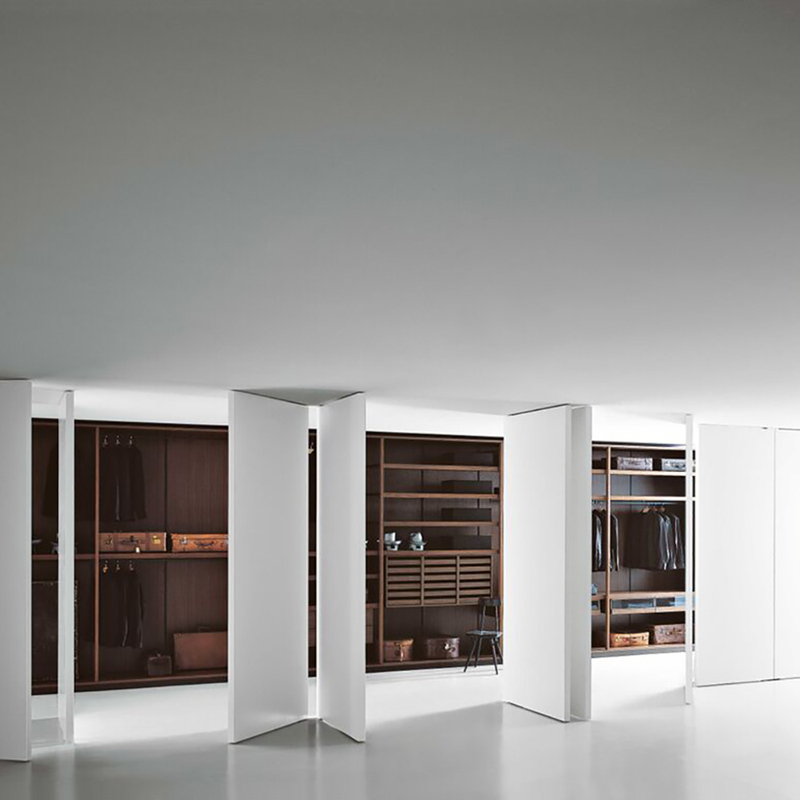 Pivot are large mobile wings which, by rotating around a hinge, act now as a door, now as a partition wall, now as a closing element of a bookcase or of a cabinet. Furnishing elements with a multiplicity of functions take on variable roles, satisfying the changing requirements of the people who live there.